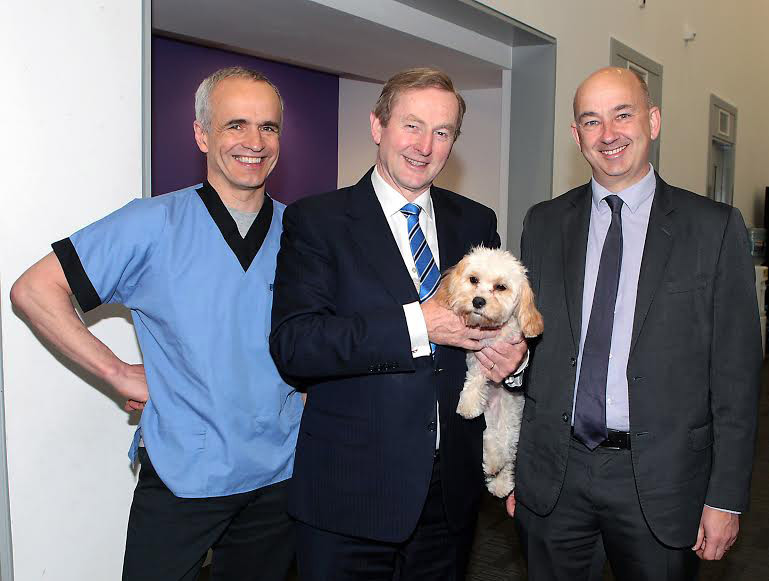 Photo shows Mr. Kenny with SpayAware founder and vet Pete Wedderburn (left) Dr. Andrew Kelly, CEO of the ISPCA (right). Taoiseach Enda Kenny has backed a nationwide appeal calling on pet owners to have their animals neutered or spayed in order to end needless suffering by cats and dogs. Mr. Kenny joined ISPCA Chief Executive Officer Dr. Andrew Kelly and broadcaster and vet Pete Wedderburn for a photo call to show his support for SpayAware, an annual public awareness campaign that aims to reduce the toll of Irish cats and dogs that end up in local authority pounds, animal shelter or left to fend for themselves. An Taoiseach Enda Kenny TD said: "I am glad to lend my support to this campaign and commend the organisers for their efforts to help reduce the numbers of cats and dogs who are abandoned, end up in pounds or shelters, or are put to sleep. I hope the SpayAware campaign is successful in encouraging responsible pet ownership so that the needless suffering of these animals can be avoided." According to SpayAware founder Pete Wedderburn, unplanned pet pregnancies are a key cause of the overpopulation crisis. “Annual figures from the Department of the Environment show that thousands of otherwise healthy animals end up in dog pounds every year and while tremendous work done to find new homes for many of them, a high proportion are put to sleep because there is no other option,” he says. Mr. Wedderburn added that no official figures are available for cats, but based on anecdotal evidence it is estimated that the number of unwanted, abandoned and feral cats far exceeds the totals for dogs. According to one estimate by the animal welfare group ANVIL, as many as 180,000 kittens are destroyed or inhumanely disposed of every year. “Over recent years, many more pet owners are taking a responsible attitude by ensuring unwanted puppies and kittens are not born in the first place by having their cats and dogs neutered or spayed, but there is still a significant portion of people who have not yet got the message,” he added. This year’s SpayAware campaign is taking to the airwaves with a week-long series of ads on Newstalk 106FM. There is also a poster campaign featuring RTE broadcaster Claire Byrne, who is a longstanding supporter of the campaign. The campaign is also supported by an active website, which offers detailed information about the benefits of spaying and neutering. The campaign is backed by the ISPCA, Veterinary Ireland and a range of Irish animal welfare and rescue groups, with sponsorship support from Allianz, Maxi Zoo and the DoneDeal PetAware Project. Broadcaster Claire Byrne has become the poster girl in support of an annual appeal calling on pet owners to play their part in ending Ireland’s toll of unwanted cats and dogs. Claire joined fellow broadcaster and TV vet Pete Wedderburn for a photocall to launch this year’s SpayAware appeal, an occasion they shared with several puppies and dogs from 340 animals recently rescued by the ISPCA following the closure of a puppy farm in Myshall, Co. Carlow. While figures released by the Department of the Environment over recent years have seen an overall decrease in the number of dogs destroyed in Irish pounds, many thousands of unwanted dogs continue to end up there. While no official figures are available for cats, based on anecdotal evidence it is estimated that the number of unwanted, abandoned and feral cats far exceeds the totals for dogs. “While the decline in the number of dogs ending up in the pound system is heartening, there is no room for complacency. The best way individual owners can help end the plight of abandoned cats or dogs is to ensure their pets are neutered or spayed,” says Pete. SpayAware is supported by Veterinary Ireland, the DoneDeal PetAware Project, Allianz, the ISPCA and Maxi Zoo, as well as a range of well-known Irish animal welfare and rescue groups. For further information, visit: www.SpayAware.ie. 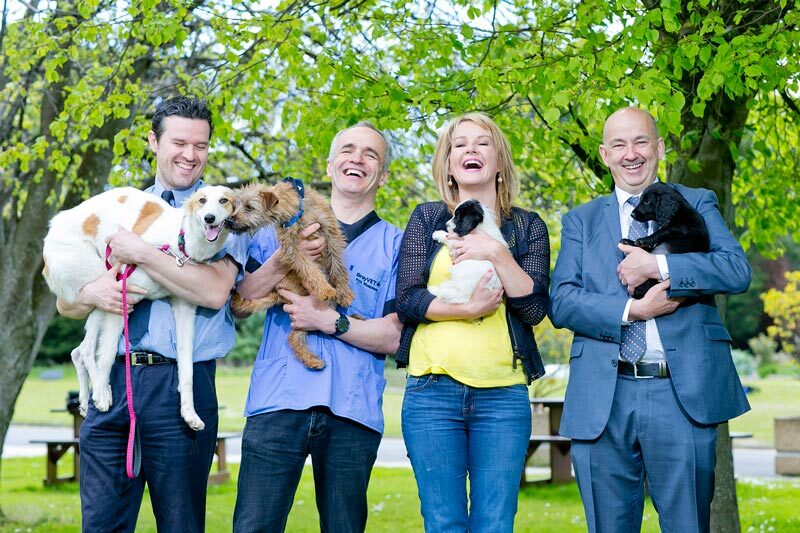 ISPCA Chief Executive Officer, Dr Andrew Kelly says: "The SpayAware campaign is urging pet owners to act responsibly and neuter or spay their pets as early as possible to prevent unwanted litters of puppies and kittens. This is the best way to reduce the over production of dogs and cats, which is a significant problem in Ireland. Having your pet neutered or spayed can also bestow health benefits to your dog or cat. Don't wait until it’s too late - get it done now. " The DoneDeal PetAware Project is committed to creating meaningful change in the community through social, health, educational and environmental measures, and by investing in direct support services, research and advocacy for older people, adults, children and animals. Its PetAware Project promotes responsible pet ownership and advocates adoption of animals as a first choice over purchase. According to DoneDeal’s Customer Experience Manager Melrona Doyle, the PetAware Project is dedicated to promoting responsible pet ownership. A vital part of that is working towards the reduction of pet overpopulation in Ireland.